Grenade (UK) Ltd, having taken the world of sports supplements by storm in 2010 when they launched their flagship fat burner, Grenade® Thermo Detonator, are excited to showcase their new, equally iconic, Pre Workout Devastator Grenade® – 50 Calibre® at BodyPower in the UK between the 18th and 20th May 2012. Grenade® .50 Calibre® is a hard hitting, pre workout designed to make every workout an explosive, energy fuelled assault. Powered by Grenade®, the multi award winning sports nutrition specialists, 50 Calibre® combines over 20 University tested ingredients, in high-potency dosages, designed to deliver devastating energy levels, incredible pump, endurance and anti-catabolic support. 50 Calibre® is the ultimate pre workout ammunition for better exercise performance. Grenade® – 50 Calibre® was formulated by its expert R & D team after evaluating and considering every possible natural component that has been studied to enhance physical performance. 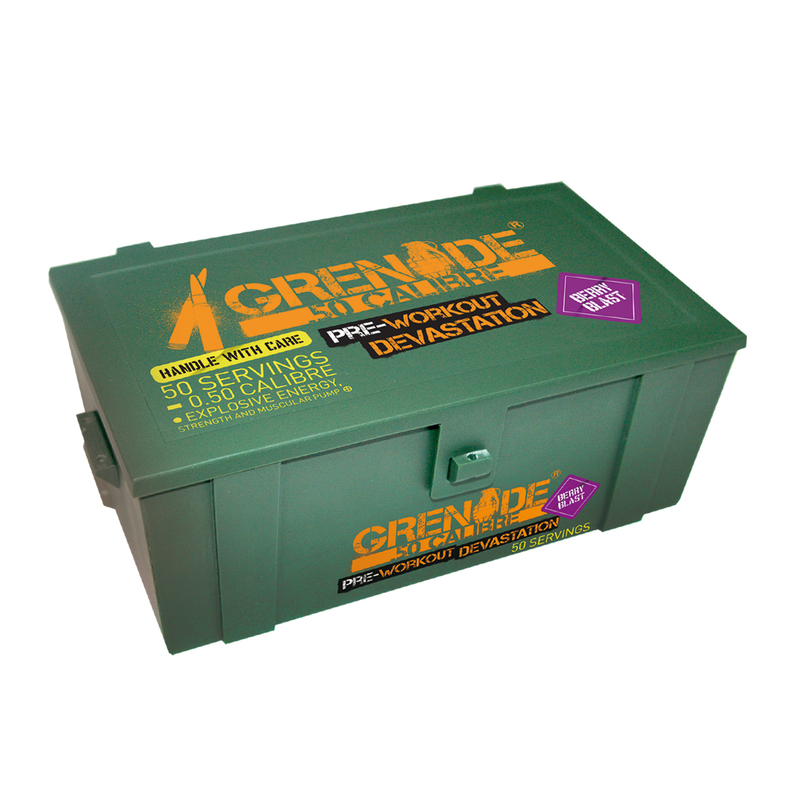 As such, Grenade (UK) Ltd believes that it is the most dynamic and innovative nitric oxide product available today. Grenade (UK) Ltd is an innovative British company who have grown rapidly since its launch in 2010. Now selling the Grenade ® - Thermo Detonator product to over 130 countries, they have a huge following ranging from professional athletes, fitness enthusiasts, military personnel and Special Forces worldwide. Grenade (UK) Ltd is one of the first British companies to sell sports nutrition products into the USA and exhibits at the largest fitness expo’s in the world. Supported by its ‘Team Grenade’ athletes they have become renowned for their unique branding and have achieved a phenomenal amount of success in a relatively short space of time. As a result, Grenade® is not only widely regarded as the worlds’ fastest growing weight loss brand but also as one of the most exciting sports nutrition companies in the market today. This press release was distributed by ResponseSource Press Release Wire on behalf of Grenade (UK) Ltd in the following categories: Health, Leisure & Hobbies, Sport, for more information visit https://pressreleasewire.responsesource.com/about.